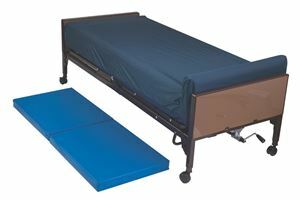 Fall Mats reduces the risk of injury after a fall from the bed. It is made up of foam which is highly absorbent and compressive. It has vinyl cover which is durable and eaasy to clean. It is Latex Free and Blue in color.